Our tours encircle the most exciting sights and highlights, visits to locations which you would not find travelling alone or in tourist guidebooks and whole range of exciting activities. Itineraries designed to make the most of your time, all you have to let go an adventure and enjoy Dubrovnik for what it really is: thrilling, fulfilling and simply stunning. With a maximum group size of just 12 on most tours, it feels more like travelling with friends than being on an organised tour. You will meet like-minded people where everyone is guaranteed to share a passion for travel and discovery, and a small group will allow you to get further off the tourist trails for a more intimate experience. Our staff and tour leaders are chosen for their professionalism and unbridled enthusiasm for having a great time. They have sailed, hiked, biked and swimmed hundreds of kilometres and perfectly suited to lead adventure holidays. They're keen to introduce you to the places that they call home. 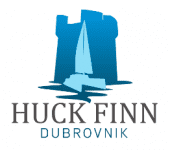 Huck Finn Adventure Travel Dubrovnik is part of Huck Finn Group - the leading adventure travel organization and outfitter in Croatia. With over 25 years experience, we know a thing or two about putting on a good show and today we are strong leaders in small group tours across the region. Great tour and fantastic crew! Highly recommended!